For 19 Euros you will get one year access to the updates of the theme, but of course you can use it forever. Coral Drive Pro is a professional responsive theme with one-column, two-column or three-column layout, and full page header. The theme is optimized for SEO, and suitable e.g. for a small business site, a portfolio gallery site or a blog. You can see below the widget areas of the Coral-drive-pro wordpress theme. The Upper, First-Sixth and Upper footer widget areas have a maximum number of 4. If you use less than 4 widget areas e.g in the First 1-4 positions, they will have equal width and fill the whole page width. 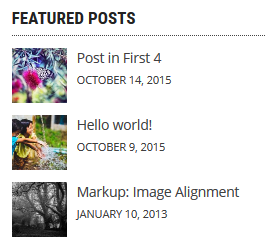 In the “Appearance /Customize/Static front page” set up a static front page and a blog page. Then in the Pages menu edit your front page, and there on the right you have the options to set the page template (Page attributes/Template), where you can choose the layout of the page (e.g. Extra widget areas, 3 columns, content middle). Now that you have set up a page with extra widget areas, you can go to the Appearance/Widgets to edit widgets. The special widget of this theme is the Coral posts with thumbnails. You can also edit text widgets easily if you install the “Black studio tinymce widget” plugin. Install two plugins: Black Studio TinyMCE plugin, and Widget CSS classes plugin. Edit a widget with the Visual Editor of the Black Studio TinyMCE plugin, and when you insert an image add a caption to it. Select the image, create a link, then select the caption, create a similar link. 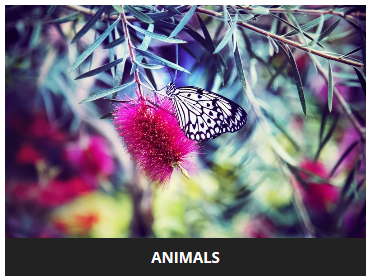 Then add the image-light or image-dark class to the widget. If you had custom CSS code in the customizer, then save it before theme update, because since the 1.0.4 version it has only the new core Additionial CSS section in the customizer, thus you can loose your custom CSS code by updating the theme. The old social icons section is also replaced by the social links menu, for which you have to create Custom link menu items. The icons are displayed automatically based on the URL. If you see a question mark icon, then your URL is not recognized. You need the installed parent theme before you install the child theme. 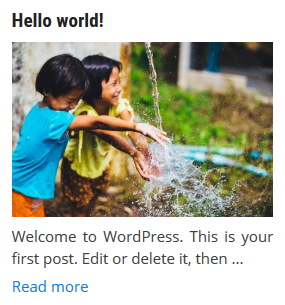 Have a look at this pro wordpress theme!